This year, it’s all about the money. So, this year will be more about earning money and building a healthy financial portfolio rather than spending. True to our “take no prisoners” approach in everything we do, we have begun a very obsessive (to put it mildly) compulsion to research on anything and everything about personal finance. This include reading up on other blogs, CNN Money, investment forums as well as discussing investment opportunities with colleagues at the office who all seemed to wake up the first day of 2015 with a compulsion to earn more. 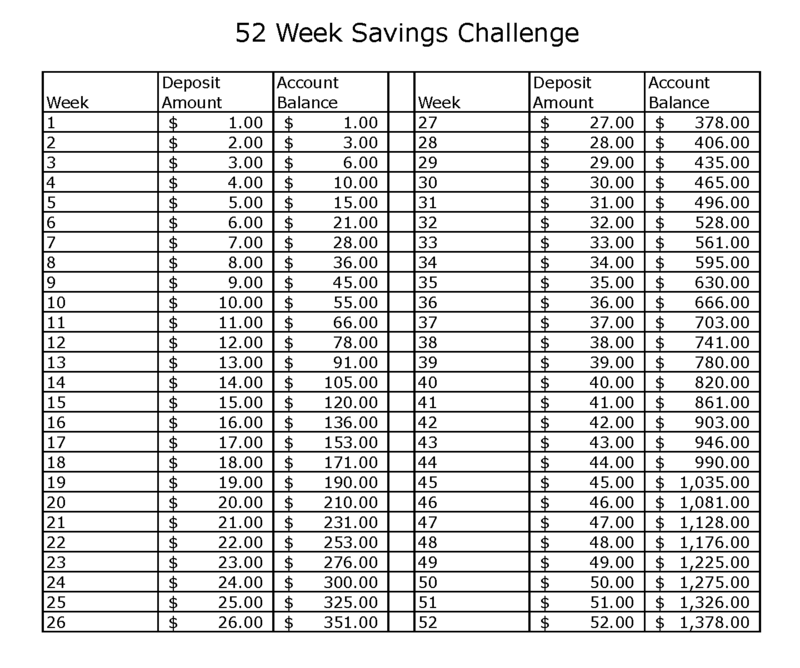 Last year, the hottest craze in saving is the “52 Week Savings Challenge” which has gone viral and literally pushed all millennials and gen-Xers like us scrambling for large glass jars which can be used for the challenge. For the uninitiated, Pinterest has tons of tutorials on the challenge. Trust enterprising Filipinos to come up with a local version of the challenge with local currency instead of dollars. In the local version, one can begin with as low as PHP50 (about USD1.20) and add increments of 50 pesos per week, bringing to a total savings of PHP60,000 — in time for the Holidays! 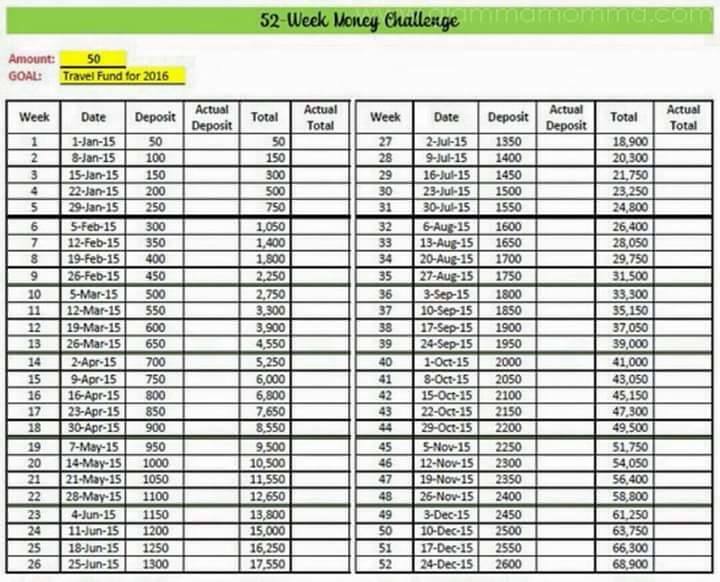 The version we saw even had a part where one can put his or her goal for the savings, in this case – for travel. But in our case, the PHP60,000 will go a long way to increase our retirement fund. This early, we are already building a safe nest egg which we can use should there came a chance to go back to writing either freelance or a different employment. More than serving as a foundation for the nest egg, the future savings will serve as a good addition to the savings account we are trying to resuscitate this 2015. After all, we had a lot of instances last year when we barely had enough as savings — while the rest goes to the purchase of various wants. 1. Establish an emergency fund which proves useful for sudden hospitalizations, cellphones or laptops needing replacement or travel deals that were just too sweet to ignore. 2. Build and establish retirement fund, currently composed of nothing but a life insurance coverage from one of the country’s trusted brands. Explore possibility of getting a mutual fund for stocks and other investments. 3. Within three years, move on from employee to sole proprietorship through our dream Kawaii business or by pursuing editorial and marketing consultancy work. 4. Explore possibility of real estate investment by considering purchase of property on pre-selling rates. To do this, we are putting a temporary embargo on travel and all travel-related expenses. While this will surely drive us crazy (too many cheap fares!!!) what is important is attain a healthier financial outlook, especially at this age where we are starting to feel the effects of working the grind.